With only a few weeks left before the much-awaited concert of BLACKPINK 2019 [In Your Area] World Tour in Kuala Lumpur, anticipation among the fans in the country has soared high with many expressing their excitement for the 2-day concerts. Presented by KIA Motors, BLACKPINK 2019 [In Your Area] World Tour in Kuala Lumpur is set to take place at Stadium Malawati on 23rd and 24th February. 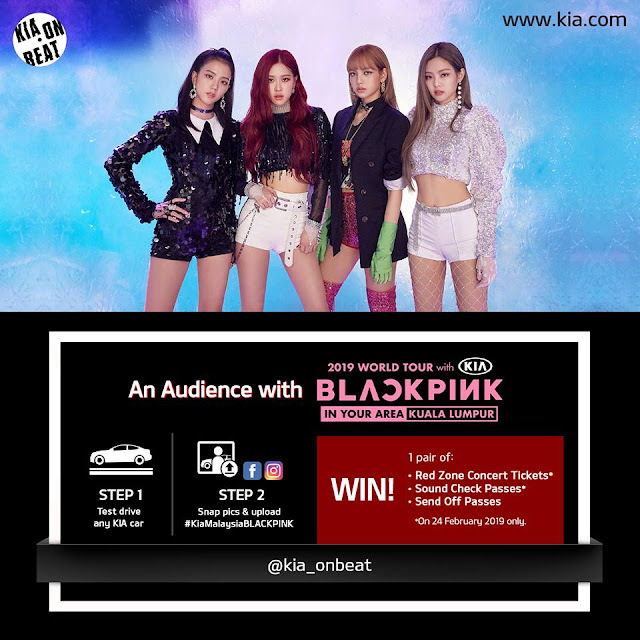 With this iconic partnership with BLACKPINK, the Korean automotive manufacturer, Kia aims to establish a closer connection to Asia's younger generation through a new K-pop inspired outreach campaign. As such, Kia Malaysia will showcase a special booth at the concert ground where BLINKs can stand a chance to win exclusive BLACKPINK autographed CDs. How to win BLACKPINK exclusive autographed CD? Step 1: Show off your best BLACKPINK-inspired dance choreography or carpool karaoke skill to your favourite BLACKPINK songs. KIA Malaysia also offers exclusive chances for BLINKS to participate in its Valentine's Day contest where 2 lucky winners will stand a chance to win a pair of Red Zone concert tickets and exclusive Sound Check and Send-Off passes. 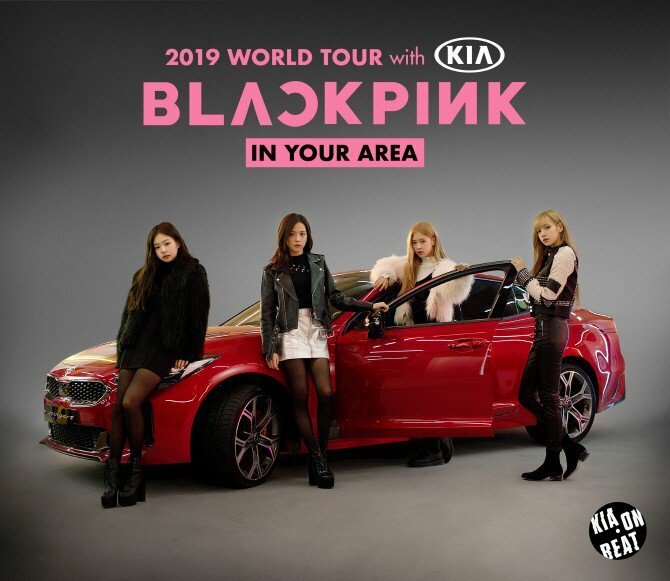 As the official sponsor of BLACKPINK's 2019 World Tour, KIA will provide ground transportation for the members throughout the duration of the world tour in 7 countries - Thailand, Indonesia, Malaysia, Philippines, Vietnam, Hong Kong, Singapore, Malaysia and Taiwan. BLACKPINK kick-started their 2019 World Tour last year in Seoul and will continue to run through 2019, with stop-offs in major cities around the globe.